As leader of Calfee's Insurance Recovery practice, James Sullivan counsels corporate insurance policyholders on insurance coverage issues and litigates insurance coverage disputes. He also litigates and helps resolve clients’ general business disputes. He has litigated in many Ohio appeals and trial courts, as well as numerous federal trial and appeals courts. Additionally, James counsels clients on designing and administering promotional sweepstakes. 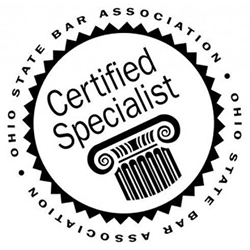 James is one of 24 Ohio lawyers certified as insurance law specialists by the Ohio State Bar Association. He has served as an expert witness on insurance coverage issues. He was named Best Lawyers® 2018 Insurance Law "Lawyer of the Year" in Cleveland. He has been selected to The Best Lawyers in America list since 2017. James has been recognized by Ohio Super Lawyers as a a Top 100 Attorney in Ohio and a Top 50 Attorney in Cleveland from 2016-2019. James joined Calfee in 2001 and was elected Partner effective January 1, 2010. He serves as chair of Calfee’s Associates Committee and is a member of the Diversity & Inclusion Committee. He also serves as a formal and informal mentor to other Calfee attorneys. James has been litigating on behalf of and counseling insurance policyholders on coverage matters since 2004. More than 90% of James’s practice is devoted to representing policyholders. 2018 – Helping chemical and solvents manufacturer protect approximately $4 million in captive insurer assets in connection with claim triggering multiple policies, including non-captive policy years. 2018 – Assisting manufacturing client in efforts to secure tens of millions of dollars in CGL and excess insurance for alleged catastrophic failure of client’s products affecting medical facility. 2018 – Advocating for university in efforts to secure insurance coverage for sexual misconduct allegations. 2018 – Advising client in health services sector on multi-million-dollar claims under multiple lines of insurance. 2018 – Helping publicly-traded company secure D&O and EPL coverage for SEC investigation. 2018 – Litigating alleged “late notice” denial of $2 million-plus coverage claim under CGL policy for home hardware component supplier. 2018 – Advising high-net-worth family trustee client on design and implementation of comprehensive D&O and professional liability/E&O insurance program. 2018 – Assisting with design and implementation of insurance coverage strategy for talc litigation for home-improvement goods manufacturer. 2018 – Helping client negotiate with Ohio Department of Insurance regarding potential establishment of risk retention group (RRG) pursuant to Ohio’s RRG statutes. 2018 – Representing steel product manufacturer in efforts to secure legacy CGL coverage for asbestos litigation. 2017-2018 – Assisting with $15 million aviation insurance policy claim in connection with fatal aircraft incident. 2017-2018 – Helping New York-based consumer product manufacturer and supplier for top big-box retailers secure millions of dollars of CGL insurance coverage for multiple consumer and municipality class-actions filed nationwide. 2017-2018 – Representing lawn-care goods manufacturer in seven-figure dispute with property insurer over interpretation and application of deductible language in commercial property insurance policy. 2017-2018 – Helping company in medical insurance sector administer defense and indemnification claim under primary and excess E&O policies in municipal-law class action seeking an estimated $20-million-plus in damages. 2017-2018 – Advocating for manufacturing client in efforts to secure additional-insured status under third-party’s CGL program to fund defense and indemnification of death and severe bodily injury claims. 2016-2018 – Guiding health sector client through dispute with third party seeking to waive client’s rights with respect to approximately $125 million in limits under medical professional liability insurance. 2016-2018 – Defending captive insurer of publicly traded power management company in litigation against claims by various traditional-market insurers seeking to shift historical asbestos liabilities in part onto captive. 2015-2018 – Helped various clients secure insurance coverage under multiple types of insurance policies for numerous nationwide and state-wide class action lawsuits. 2018 – Advised client on CGL coverage protections for ongoing litigation spanning closing of stock purchase transaction. 2018 – Advised multiple seller M&A clients on management of discontinued operations liability protections in connection with asset deals. 2018 – Represented Chinese manufacturer client against insurance subrogation claim. 2018 – Advised pump manufacturer on structure of insurance coverage program, including public-company D&O, EPL, fiduciary, crime, and excess policies. 2018 – Helped design insurance coverage program to protect against first-party and third-party risks associated with construction of entertainment facility on property owned by nationwide celebrity. 2017-2018 – Persuaded insurer to reverse denial of duty to defend toxic tort lawsuit by municipality seeking millions of dollars in damages. 2017-2018 – Represented insurance broker in connection with subrogation claim against insurer that wrongfully denied coverage under specialty liability policy. 2016-2018 – Advised numerous M&A clients on placement of RWI coverage. 2017 – Served as expert insurance coverage witness in the United States District Court for the Northern District of Ohio regarding rights and obligations under a captive professional liability insurance policy. 2017 – Advised commercial real estate company on key property insurance coverage issues in connection with losses sustained during Hurricane Maria. 2017 – Assisted specialty chemicals manufacturer secure millions of dollars in CGL defense and indemnity coverage in connection with construction manufacturing defect claims. 2017 – Helped design strategy for successfully sidestepping pollution exclusion raised by insurers for Ohio flooring manufacturer. 2016-2017 – Helped secure seven-figure recovery under D&O policy following arbitrated dispute involving disputes over loss allocation and identity of insureds. 2015-2018 – Assisting Fortune 500 company with design and administration of insurance coverage program for asbestos claim portfolio. 2015-2017 – Aided professional sports franchise with efforts to secure insurance coverage for class action under CGL, stop-gap employers liability, and excess workers compensation policies. 2015 – Advised multiple Calfee clients regarding rights with respect to D&O insurance in connection with lawsuits and claims brought by third parties. 2015 – Advised multiple Calfee transactional clients on insurance coverage issues in connection with U.S.-based and internationally-based stock purchase agreements and asset purchase agreements, including with respect to insurance anti-assignment provisions and successor access to historical insurance policy rights. 2015 – Assisted nationwide insurance brokerage and risk-management firm with development of endorsement language to present to the insurance marketplace. 2015 – Assisted disability-management company’s efforts to secure insurance coverage for defense costs and indemnity coverage in connection with defamation lawsuit. 2014-2015 – Assisted material handling equipment company with securing total defense and indemnity coverage for its first-ever asbestos claim. 2014-2015 – Assisted aviation services company with securing defense costs for employment practices punitive class-style claims. 2014-2015 – Assisted nationwide financial services company with obtaining settlement from insurer when insurer argued policy at issue had lapsed. 2014-2018 – Assisting performance materials manufacturer in coverage in place agreement negotiations with multiple insurers regarding asbestos and other toxic tort long-tail claims. 2014-2015 – Secured multi-million-dollar settlement against Fortune 500 insurer in connection with breach of contract claims. 2014 – Performed comprehensive insurance coverage program review for D&O, EPL, fiduciary liability, and crime coverage for service provider of Cloud-based communications and applications. 2014 – Assisted lifestyle shopping center secure property insurance for losses resulting from rupture of frozen pipes that affected over 15 of its tenants. 2011-2015 – Sought in excess of $5 million in EPL coverage for a designer and manufacturer of corrugated packaging. 2011-2013 – Helped secure favorable settlement in lawsuit seeking over $15 million in coverage under a property policy for a Michigan client that suffered catastrophic property and business interruption losses at its petroleum-based product storage facility. 2013-2018 – Assisting commercial construction goods manufacturer in its efforts to secure coverage for CERCLA Superfund liabilities under historical policies. 2013-2018 – Assisting performance materials manufacturer in management of international insurance program, including review of coverage placements, and asbestos claim coverage under historical policies. 2011-2018 – Managing asbestos and benzene product liability insurance coverage claim program on behalf of former automotive product manufacturer. During the past decade, James has handled more than 125 matters for Ohio banks, including many for three of Ohio’s four largest banks. James has a wide variety of experience in banking litigation, including trials, hearings, appellate arguments, depositions, and dispositive motions. 2018 – Litigating arbitration matter involving allegations of Telephone Consumer Protection Act (TCPA) violations by banking client. 2018 – Advised bank on proper management of funds subject to restraining orders issued by federal court judge in connection with criminal investigation, including interfacing with U.S. Attorney’s office as instructed by judge. 2017-2018 – Guided bank client through matter involving misuse of IOLTA account funds by banking customer. 2016-2017 – Helped bank fend off consumer claim pre-suit that was precluded by account holder terms and conditions. 2016-2017 – Litigated claim against bank alleging mismanagement of confidential information despite legal process mandating disclosures. 2015 – Assisting bank fiduciary in efforts to resolve a commercial real estate dispute. 2015 – Assisted bank in development of summary judgment arguments for breach of contract claim seeking millions of dollars in damages. 2014 – Assisted bank in addressing claims for breach of fiduciary duty by a customer. 2014 – Assisted bank with fraud investigation regarding a franchisee banking customer. 2013 – Advised bank on nuances of various Uniform Commercial Code commercial paper provisions in connection with bank’s development of policies and litigation strategies. 2018 – Prosecuting claim on behalf of manufacturing client against supplier of defective goods that jeopardized client’s relationship with key customer. 2015-2018 – Litigated numerous claims involving alleged breaches of representations and warranties in stock purchase agreements and asset purchase agreements on behalf of various private equity clients. 2018 – Advised client on successor liability theories and methods for protecting against related claims. 2017-2018 – Defended landscaping materials company against defective goods allegations. 2017 – Advised client with respect to indemnification rights and obligations in connection with contract with worldwide rubber goods manufacturer. 2015-2017 – Defended recycling industry client in hotly contested dispute over contracted value of scrap metal, resulting in confidential mediated settlement. 2015-2018 – Defended manufacturer of retail and commercial paints and coatings against class-style claims alleging breach of contract and violation of Ohio’s business opportunity plan statute. 2016 – Represented area business in breach of contract claim in connection with Republican National Convention in Cleveland, Ohio. 2015 – Litigated claims on behalf of a private equity company seeking release of multi-million-dollar escrow in connection with securities purchase agreement and defending against multi-million-dollar allegations of representation and warranty breaches from that transaction. 2014 – Defended manufacturer client against breach of contract claim by multinational conglomerate entertainment company, resulting in favorable settlement. 2014-2015 – Defended real estate developer against third-party beneficiary claims. 2014-2015 – Obtained favorable settlements in multiple software developer and administrator lawsuits. 2013 – Analyzed merits of potential breach of warranty claim for client with damages anticipated to exceed $40 million. 2013 – Negotiated settlement of federal lawsuit brought by Sunoco, Inc. against client in accordance with client’s strategic objectives for minimizing total cost exposure associated with potential CERCLA Superfund liabilities. 2013–2015 – Litigated on behalf of golf course management company against municipality to recover hundreds of thousands of dollars in capital improvements for which municipality wrongfully withheld payment. 2013 – Settled half-million-dollar claim against furniture manufacturing client seeking lost profits for termination of business relationship for nuisance value without litigation being filed by locating and assembling persuasive evidence in the dispute’s infancy. James has counseled corporate clients on over 40 sweepstakes and games of skill promotions, including the legality of promotions; the structuring and implementation of promotions to comply with federal, state, and local statutes, regulations, and common law; the use of social networking media in promotions; and the protection against unintended liability resulting from promotions. 2018 – Debit card giveaway promotion for energy broker. 2018 – Religious organization liquor raffle promotion. 2016-2018 – Multiple trade-show promotions. 2017 – Bluetooth-enabled device prize promotion. 2017 – Sweepstakes awarding client home furnishings products as prizes. 2015-2016 – E-billing enrollment programs for multiple clients. 2016 – Customized shoe contest of design skill for flooring manufacturer. 2015 – Points program grocery store cart fill-up promotion for health care company employees. 2015 – Guidelines for promotional sweepstakes developed for use by diversified energy company. 2014 – Photography contest featuring client goods. 2014 – Guidelines for promotional sweepstakes in the United States for a Canadian client. 2013 – Publicity and privacy guide for use in U.S. consumer and commercial transactions for Canadian tire and rubber track manufacture, as well as multiple sweepstakes marketing promotions. 2013 – Advised multiple clients on issues relating to establishment and administration of customer loyalty programs. 2012 – Design and administration of $1 million cash promotional sweepstakes giveaway for Ohio energy supplier. James Sullivan was named Best Lawyers 2018 Insurance Law "Lawyer of the Year" in Cleveland. He is one of 24 Ohio lawyers certified as insurance law specialists by the Ohio State Bar Association.